Home AI-AI DE LAS ALAS BOX OFFICE DANIEL PADILLA GRETCHEN BARRETTO JESSY MENDIOLA JOHN LLOYD CRUZ KATHRYN BERNARDO KIM CHIU KIMXI MAE CRUZ MOVIES PAST TENSE RICHARD GOMEZ SHE'S DATING THE GANGSTER XIAN LIM 'Past Tense' Movie, Kim Chiu and Xian Lim's next box-office hit! 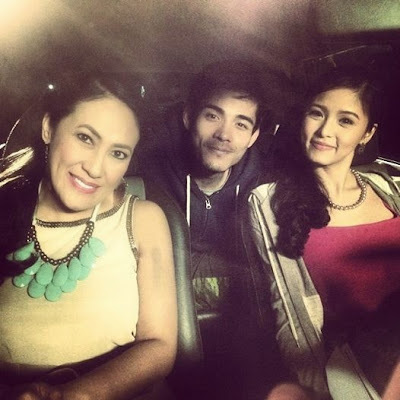 'Past Tense' Movie, Kim Chiu and Xian Lim's next box-office hit! , Kim Chiu and Xian Lim (KimXi) 3rd movie, is coming to theaters November 26, that's just 27 days from now. It's near already KimXis, and you better start saving now so you could watch it not just once but many times with family, friends and loved ones. This early, it's a safe bet that 'Past Tense', which also stars 3-time Box Office Queen Ms. Ai-Ai de las Alas and is directed by hitmaker director Mae Cruz ('Catch Me, I'm in Love', 'She's The One', 'Bride For Rent'), will be a major box-office hit. Yeah, I used an exclamation point and not a question mark in my post title to officially declare (with certainty) 'Past Tense' as the next Pinoy blockbuster movie to at least join the elusive P100-million club following many misses the past 3 months. The last certified blockbuster Filipino film was July's 'She's Dating the Gangster' that starred Kathryn Bernardo and Daniel Padilla, and all Filipino films shown after grossed below P80M, including this month's family drama 'The Trial', which stars John Lloyd Cruz, Gretchen Barretto, Richard Gomez and Jessy Mendiola and so far has an underwhelming P53.2M 12-day gross to rank outside the Top 10 in the 2014 box-office ranking. This November, two big films are coming up: Wenn Deramas' 'Moron 5.0: The Transformation' and that of KimXi, 'Past Tense'. 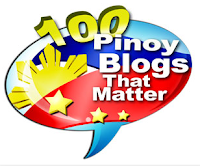 I'll place my bet on the latter to become 2014's 7th P100M-earning movie. As to how much the movie is going to earn beyond that mark will be very exciting. No Filipino movie released in November earned above P160M and the record-holder was 2007's 'One More Chance' which had P156M. Will 'Past Tense' be able to exceed that? Very possible. Kim and Xian have a proven track record at the Philippine box-office, with their past 2 movies have a combined P430M gross. Last January, KimXi's 'Bride For Rent' broke records for the month and ultimately grossed P327M, more than triple the revenues of their first movie 'Bakit Hindi Ka Crush Ng Crush Mo'. Their next movie 'Past Tense', already their 2nd for the year and their 3rd in just a span of 17 months, is showing signs of becoming a huge hit, before the MMFF 2014 officially opens 29 days later. It won't be surprising if it makes a new record for the month of November. Let's aim for that KimXis! And it would even be a bonus if it also hits P300M just like 'Bride for Rent'. For now, here are the TOP-GROSSING FILMS IN THE PHILIPPINES FOR THE YEAR 2014: (figures from Box Office Mojo, except for 'My Illegal Wife') and you predict where 'Past Tense' will rank after its run.